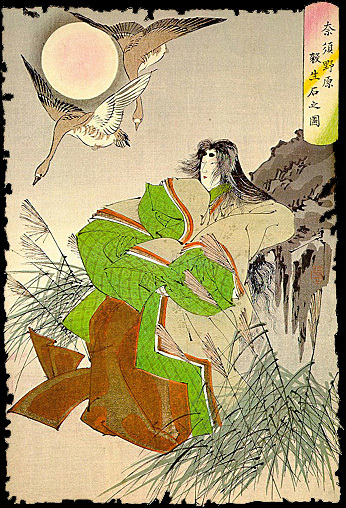 Finally, it was the Tengu’s turn. The youkai waited with bated breath. 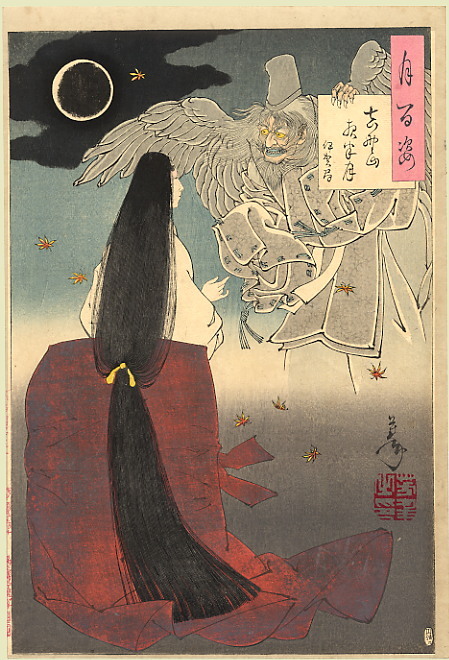 He was their last chance and surely Tengu-sama would have something wonderful. The Nine-Tailed Fox did, dressed in her favored outfit of a human woman from the Heian era, with the kimono and head veil to demurely cover the lower half of her face. It was only the distinctly vixen slant of her eyes that gave away her sly nature as she smiled coyly at me, a cultured court lady with a flirtatious look.